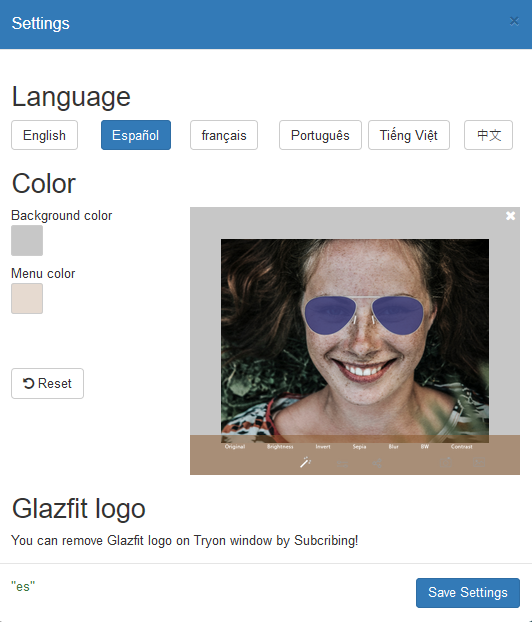 Glazfit will add Try On buttons to your product pages, by default next to your Add to Cart button. You will need to provide a virtual glasses or frame for each product so that your customers can try it on. 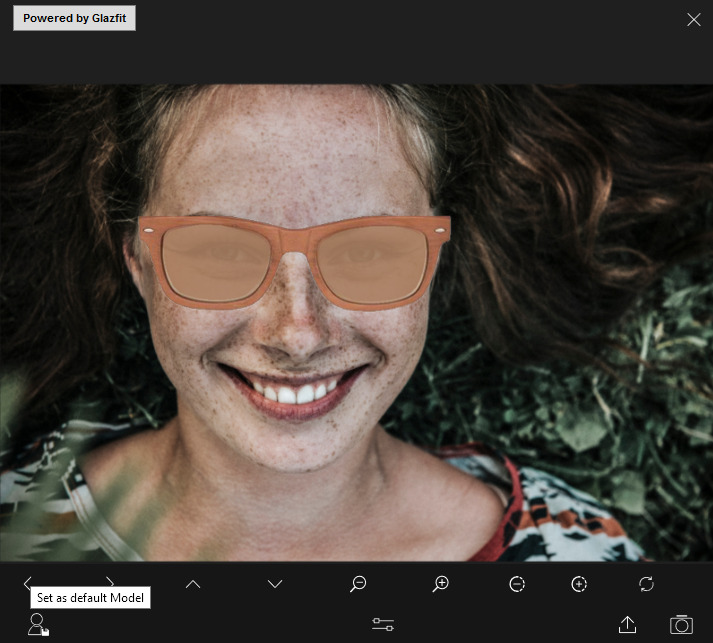 We also provide a tool to automatically generate a virtual glasses from photos available on your product page and Virtual Glasses Design Service. How does Virtual Try On look like on my storefront? After installing Glazfit, what do I need to do? How does a virtual glasses look like? What if I don't have any virtual glasses available? No worries, we provide a virtual glasses design service where our design team will use your available photos to create a virtual glasses for you. But unfortunately, it is not free, it costs US$ 10 for each virtual glasses to cover the design work. You can request the service in app dashboard. What settings are available for the app? What if the virtual glasses doesn't fit very well to my face? In some rare situations, you may see the virtual glasses appears bigger or smaller than your face or not in the correct position. No worries, you can adjust it by using Preview function associated to each virtual glasses on the app dashboard. Can I move or customize Try On button? By default, the Try On button has the your theme style and automatically placed next to Add to cart or floating at the right bottom corner but you always can customize or move it to other place. Navigate to product.liquid or single-product.liquid or product-template.liquid, copy the following code snippet to your prefered location. Cand I add Try On button to a collection page? Yes, off course. Just add the following script to the product block of the collection page. How to change default model? Go to Preview and upload your favorite model. You can adjust try on as you wish and click Save as default model to save it. I am curious about the technology behind this? Glazfit uses the cutting-edge technology of 3D Face Tracking; it is a computer algorithm that can perceive movements on human face.